Discussion in 'The Gallery' started by barcbsa, Apr 18, 2016. Something you don't see every day... Just got them. They are Track "Luger" folders from 1976-1977. 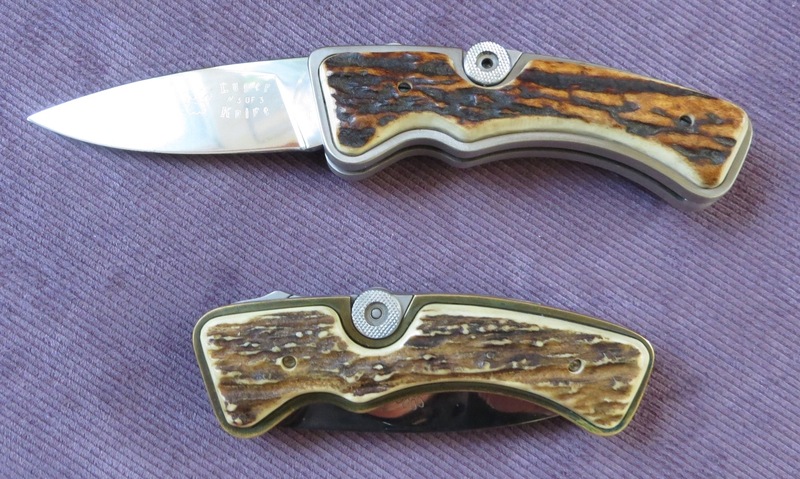 Made by Track Knives of Whitefish, Montana. Top one is titanium frame, Serial Number 3 (only 3 were ever made). At most, 70 others were made with wood handle inserts. Only 100 total at most (wood or stag) were made. The Track Toggle Knife has become a rare collectors item, even though it wasn't intended to be. The original concept was to mass produce a uniquely designed knife with an operating mechanism similar to that of the reknowned Luger pistol. Here was a product that would sell itself to every guy who ever owned, or thought of owning, a Parabellum. The design blueprints for the knife were submitted by Track to Carl Crumbley, a precision mechanist, for a working model and extensive production cost analysis. When the verdict was delivered, it was decided that the knife's intricate mechanism made it too complicated to mass produce. Each knife has 33 parts and requires 185 individual production operations. Additionally, its intricacy and close tolerance parts require hand fitting. The toggle assembly itself requires 58 production operations. The D-2 steel blade rotates on an eccentric cam which can be adjusted for tightness or wear. A spring loaded ball bearing maintains a constant pressure on the blade when it is in the unlocked position and another spring loaded bearing on the rear of the toggle maintains the proper locking pressure. After some serious soul searching, Track decided to go ahead with the project anyway, but on a limited rather than mass production. 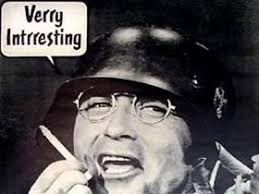 Sales of the knife went very well, but production was another matter. A mid-production cost analysis revealed that the cost exceeded the sale price. Fully-paid orders were delivered, but deposits on the rest of the knives were immediately returned, pending a revamp of production plans. The price of the knife was subsequently increased, and many who had originally ordered, redeposited their money-sensing the potential collector value in these knives. 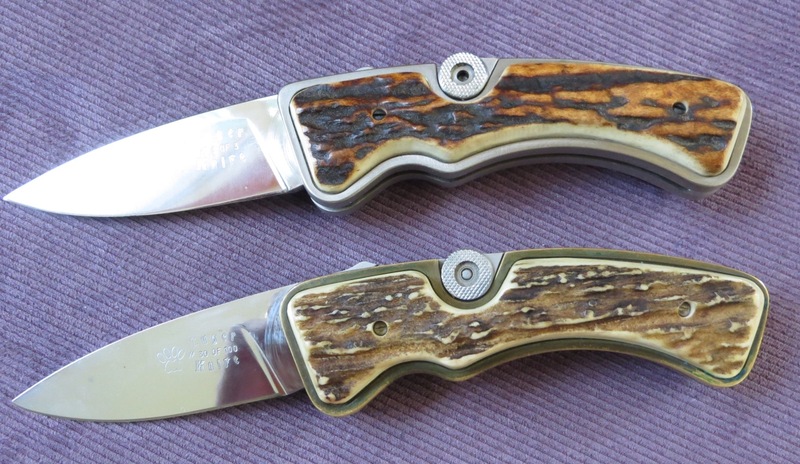 The total production figures are: One all brass working model; three pre-production prototypes (serial lettered A,B, and C); and 103 production knives, of which 73 have brass bolsters and cocobolo wood scales (serial numbers 1-70 and 98-100), 27 have brass bolsters and Sambar Stag scales(serial numbers 71-97), and three have titanium bolsters and Sambar Stag (serial numbers Titanium 1-3). Also, one knife (number 78) was engraved by Angelo Bee when they considered offering an engraved model. Track is emphatic when they say the knife will never again be produced-it caused them too many headaches, and they're certain that Crumbley, who fitted every piece, from working model to the last knife off the line, is the only person capable of making it. It takes a mechanically inclined person to fully appreciate the intricacy of the Track Toggle knife, but its story is as intriguing as the knife itself. It might even be called a collector's dream that emerged from a production engineer's nightmare. Those are pretty interesting knives. Never seen a mechanism like that on a knife before. The first custom knife that I saw in-person had a Luger Lock. This was in 1979-80. I have since mentioned this locking device to other knife guys and they all say "Umm you mean a liner lock..."
At one point I half-assumed that my memory was getting the name 'Luger lock" wrong but seeing your post and these pics confirms that I actually did see a Luger Lock folder way back then. It was a fancy dress custom with a lot of 'black' or blued parts and I recall the Luger Lock being further forward, on the spine of the handle. Anyway, that knife blew me away and still ranks as one of the coolest knives I've ever seen. I had a couple of Track sheath knives - one a very nice clip point that went MIA and a bowie. 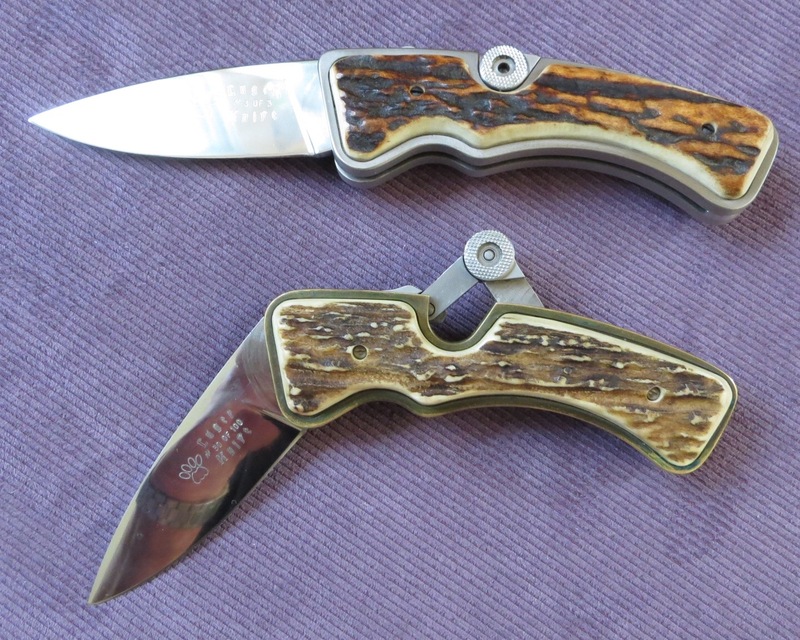 Both with Coco bolo handles and nickel silver guards. Very nice knives - really wish I still had the clip point. VERY intriguing knives. The story and the mechanisms are captivating. I'm also aware of how valuable they are. You are passionate! There are two track knives for sale in ag russell's vintage magazine catalog, one regular and one in titanium. I love the pistol and these are too cool. Very unique knives and interesting history too! Congrats on your score! I wish more knifemakers/designers/entrepreneurs had the guts to develop knives with new locking mechanisms. I confused others. I saw that the images on the AG site were these exact ones, and ASSumed they were purchased, not being offered. Still and all a super-interesting story. Thank you William! PURCHASED one on ebay several months ago...AMAZING KNIFE!!! I sent them to A.G. Russell in 2016 and he listed them on his "Cutting Edge" website and catalogue. They set a price and if they don't sell they reduce the price by 10% and re-list them. After about 1 year, the brass frame sold for $1960 (A.G. gets 25% so it was $1470 to me). Another year went by (March 2018) and the titanium frame had not sold so I asked them to return it to me. I listed on BLADEFORUMS and another website and it sold (through the other site) for $2500.